Afghanistan has become Obama’s Vietnam. As the struggle descends into madness, and Kharzai flirts with the Taliban, the country is no closer to stability than it was years ago when we first blasted our way into the countryside in search of the elusive Osama bin Laden. Pundits have argued that Afghanistan is like Vietnam – or – it isn’t like Vietnam. Set in two different world locations with two distinct geographical and environmental climes, the similarities exist outside these constraints with one over-riding theme: the inability to overcome the opposition for any length of time. Johnson and Nixon tried in Vietnam – and in the process cost over 58,000 American lives. 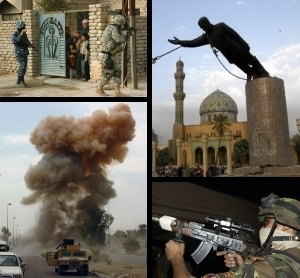 Bush began the war in Afghanistan but quickly turned to his real target – Iraq. Obama has set his sights back on Afghanistan, where many believe it should have stayed in the first place. But regardless, Afghanistan now belongs to Obama. His legacy will include his attempts to conquer the opposition forces and deliver a stable democracy in Afghanistan. A legacy that will probably fail. The “war” will play out although no one knows for sure when the last of the troops will arrive back on American soil – they just will. Sadly, the American public isn’t as vocal as it was during Vietnam. But, then again, college students and the youth are not subject to the draft – a leveler that tends to make opposition to war more pressing and urgent to those facing their exportation to foreign soil to fight a foreign war. Many dissimilarities exist, but the ultimate similarity is that of the inability to win the “hearts and minds” of a people who have battled foreign invaders for decades. So, as the war drags on, and Obama becomes further entrenched in his ownership, and the public demurely turns its face away, the prospect of an enduring Vietnam scenario increases. How many times do we need to learn a lesson? The cause in Afghanistan is not winnable. So listen to the John Fogerty song once again and see if you can learn anything. And, if you can’t, then I really feel sorry for you. The angst over ACORN has led to introduced legislation that – whoops – well sweeps in such entities as military contractors and could conceivably lead to defunding of some of the military-industrial giants. Representative John Boehner, the ever-omnipotent partisan pol from Ohio, has introduced H.R. 3571 – Defund ACORN Act. Ah, that good ole’ law of unintended consequences. Rep. Alan Grayson (D-Fla.) picked up on the legislative overreach and asked the Project on Government Oversight (POGO) to sift through its database to find which contractors might be caught in the ACORN net. A preliminary search turned up such giants as Lockheed Martin and Northrop Gumman, with 20 fraud cases between them, and the longer list is a Who’s Who of weapons manufacturers and defense contractors. Whoops! Or perhaps, whoopee. And, among the sponsors of the legislation, why Indiana’s own Republican klan of Mark Souder, Mike Pence, Steve Buyer, and Dan Burton. The Four Horsemen of the Apocalypse – riding astride those mighty steeds of indignation against ACORN. Now, I don’t know whether or not ACORN has committed acts of fraud – that is for others to determine through the proper channels. But what I do suspest is that legislation that targets ACORN will no doubt be declared unconstitutional. The Constitution prohibits Bills of Attainder – that device that says laws cannot be drafted that punish specific groups. Hmm – wouldn’t the “Defund ACORN Act” also sweep in Halliburton – the Cheney-led company that skipped out on the U.S. and established its headquarters in Dubai so it would be less accessible to prosecution in the United States for numerous alleged fraudulent activities resulting in ripoffs of billions of dollars of taxpayer money involving the Iraqi conflict? Well, let’s see where this goes. I would almost guarantee that the indignent and outraged Republicans will – of necessity – back off this legislation. Defunding ACORN may well be what they intended with their legislation, but certainly what they didn’t intend to do was sweep in their buddies in the military complex. Ouch! OOH – HAS BRITAIN’S TONY BLAIR BEEN A NAUGHTY BOY? Apparently George W. doesn’t trust even his closest friends and allies. 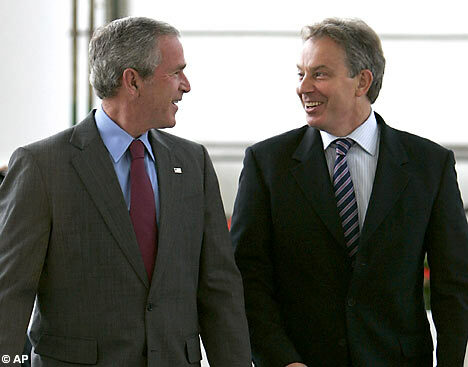 Tony Blair, the British Prime Minister who stood shoulder to shoulder with Bush on Iraq throughout Bush’s trials and tribulations with the rest of the world, has been the subject of spying activity by U.S. Intelligence officials. It seems the object of the spying was Blair’s personal life – information of a private nature that was kept in a file seen by David Murfee Faulk in 2006. While not illegal to collect information on foreign leaders, the U.S. and the UK had pledged “not to collect on each other”, several former U.S. intelligence officials told ABC. Last month, Faulk was one of two men who revealed that U.S. intelligence officials intercepted the private phone calls of hundreds of US citizens overseas as they called friends and family back home as well as American journalists, aid workers, and soldiers stationed in Iraq. 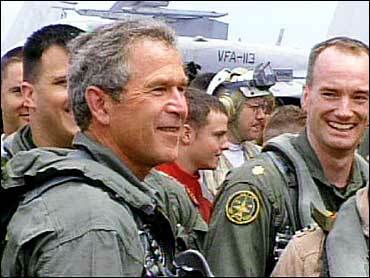 All I have to say is good riddance to a bad apple in George W. Bush. His presidency has been one of arrogance, incompetency, disrespect of the Constitution, and downright disregard for the people of the very nation he was supposed to lead. 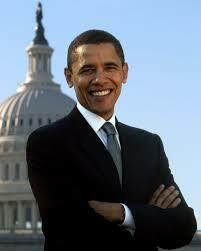 Let’s hope we never see another presidency as disastrous and destructive as the one that has held court for the last eight years. As predicted, if the approaching “show of hands” vote by the 275-member Iraqi assembly goes as expected, the United States will be mired in Iraq for another three years. The assembly is set to vote on a pact between the United States vis-a-vis “W” and Iraqi officials. The Iraqi cabinet has already approved the pact. Iraq won a number of concessions in the deal, including a hard timeline for withdrawal – from Iraqi cities by the end of June 2009 and from Iraq by the end of 2011. The act also gives Iraq the right to search U.S. military cargo and the right to try U.S. Soldiers for crimes committed while they are off their bases and off-duty. Other included terms require that U.S. troops obtain Iraqi permission for all military operations, and that they hand over the files of all detainees in U.S. custody to the Iraqi authorities, who will decide their fate. The pact also forbids U.S. troops from using Iraq as a launch-pad or transit point for attacking another country, which may reassure Syria and Iran. Although the pact has the potential to pass by a bare majority – a vote of 138 – officials are nervous that such a slim majority will hinder the effectiveness of the pact. In addition to such a slight majority, several groups oppose the pact and are demanding that it be put to a national referendum. So, buckle up, we are approaching six years of a war that was touted as “Mission Accomplished” in May 2003. We aren’t coming home – something that Americans had better learn to accept. And along with accepting our entrenchment in Iraq, we better be able to accept the fact that hundreds more American lives and Iraqi lives will be lost before this is over – if it is ever over. Rising Taliban influence, corruption in Hamid Karzai’s government, and increasing attacks from militants inside Pakistan are leading to a downward spiral in Afghanistan. A classified report set to be released, conveniently, after the November elections shows Afghanistan suffering from a breakdown in central authority and the inability to correct its deficiencies. Now the Bush administration has initiated a major review of its Afghanistan policy and has decided to send additional troops to the country. The downward slide in the security situation in Afghanistan has also become an issue in the presidential campaign, along with questions about whether the White House emphasis in recent years on the war in Iraq has been misplaced. As the battlefield quickly shifted from Afghanistan to Iraq, the search for bin Laden faded – to be replaced by Bush’s fanatical search for the now-toppled Saddam Hussein. For years, the Bush Administration focused on Iraq, duping the American people into believing that Iraq was somehow connected to 9/11. Inside the government, reports issued by the Central Intelligence Agency for more than two years have chronicled the worsening violence and rampant corruption inside Afghanistan, and some in the agency say they believe that it has taken the White House too long to respond to the warnings. For the first time in history, a growing number of combat troops are taking daily doses of anti-depressants to calm nerves strained by repeated and lengthy tours in Iraq and Afghanistan. According to the Army’s fifth Mental Health Advisory Team report, using an anonymous survey of U.S. troops taken last fall, about 12 percent of combat troops in Iraq and 17 percent of those in Afghanistan are taking prescription antidepressants or sleeping pills to help them cope. Use is split 50 – 50 between anti-depressants such as Zoloft and Prozac and sleep aids such as Ambien. Military physicians are also split on the effects of using such prescriptions on soldiers in war zones. Some physicians are concerned that they are not adequately understood, while others contend that using prescriptions for mild depression symptoms avoids costly removals of soldiers from the fight. Now there’s a thought – removal of soldiers from the fight. Apparently that isn’t something a number of military physicians are willing to acknowledge – got to fight that war even at the expense of increasing emotional and psychological problems among the military. The peacetime draft – signed into law in 1940 by President Franklin Roosevelt – lasted 33 years until it was abolished in 1973 by the government after almost a decade of unrest and protest during the Vietnam War era. But, the government has one of those “fine-print” clauses in the enlistment contract for military service that serves as a tactic which has come to be known as the “back door” draft. The stop-loss provision is the involuntary extension of a service member’s active duty service under the enlistment contract in order to retain them beyond their initial end of term of service (ETS) date. Stop-loss was used immediately before and during the first Persian Gulf War. Since then, it has been used during American military deployments to Somalia, Haiti, Bosnia, Kosovo and during the September 11, 2001 terrorist attacks and the subsequent War on Terror. Every person who enlists in a branch of the U.S. Armed Forces signs an initial contract with an eight-year service obligation. The enlistment contract for a person going on active duty generally stipulates an initial period of active duty from 2 to 4 years, followed by service in a reserve component of the Armed Forces of the United States for the remainder of the eight year obligation. Service members whose ETS, retirement, or end of service obligation date falls during a deployment are generally involuntarily extended until the end of their unit’s deployment. In 2002, the Army announced new orders that would forbid thousands of soldiers from leaving the service after they returned from Iraq, Afghanistan and other fronts in the war against terrorism. Since then, the stop-loss policy used by the Army to keep US soldiers and reservists in the military beyond the date when their service was supposed to end, has been used on more than 50,000 members of the armed forces since the war in Iraq began. The policy is nothing more than a draft. The military is overextended fighting wars in Afghanistan and Iraq, and the Bush Administration was totally unprepared for the ensuing conflict once it ended its “shock and awe” tactics. Plans were not made for a lengthy occupation nor were they made for the subsequent insurgency that divided the three ethnic factions in Iraq and placed our military smack in the middle. Military personnel have been recycled and recycled – some as many as four or five times. When I attend the Peace Rally on the first Saturday each month, I see a few young people. But most of us are of an age who remember the Vietnam War and the draft with all its inequities. Most of us are in our 50s and 60s and recall the thousands of young people who marched in the streets and protested the Vietnam War. They protested because, among other concerns, they had a vested interest – they could be drafted. Now that the draft has been abolished, the same interest of the young does not exist. But the government didn’t let go completely of its control over potential soldiers. All males of a certain age are required to register. And just why do you think registration is still maintained even though we have an all-volunteer military? At some point, the government will be out of bodies to send to foreign lands. Volunteer enrollment will slow, and stop-loss will no longer work on a physically, mentally, and emotionally exhausted and worn out body of soldiers. New bodies will be needed, and those bodies will be readily available through the selective service registration process. All that will be needed is for Congress to re-instate the real draft, and, unless we disentangle ourselves from the Middle East, it is coming. Iraq’s prime minister has indicated that a timetable needs to be set for our departure. That notion must really have the right-wingers in a snit. Imagine those uppity Iraqis – after all we have done for them – to actually have the gaul to tell us to leave. What on earth is wrong with them? They must think that Iraq is their country or something. Of course President Bush opposes the idea. Bush has yammered for quite some time now about Iraqis taking control of their own future and destiny. And now that they want to do so, Bush doesn’t really want to break up the relationship. Kind of one of those “I didn’t really mean it” situations. Bush and the invasion supporters have been bragging about how successful the surge has been and how it has helped stabilize the country. 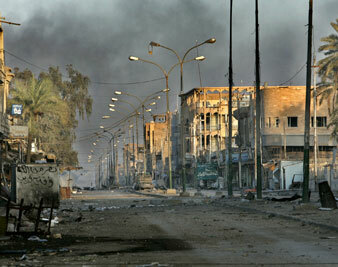 It makes perfect sense that Iraqis now see this as their opportunity to oust the occupiers. Perhaps this is one of those times that the phrase, “be careful what you wish for, you might just get it” takes on real meaning.